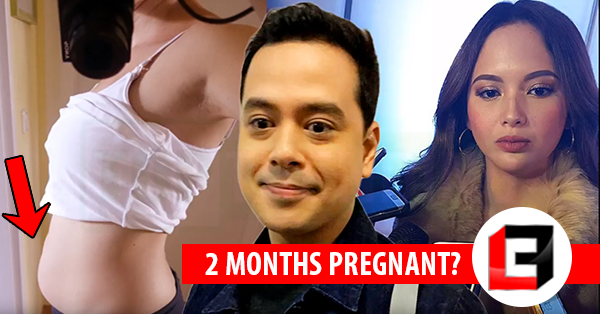 Home / News / Showbiz / Viral / John Lloyd Cruz Nagpropose Di Umano Kay Ellen Adarna "Are They Expecting A Baby?" John Lloyd Cruz Nagpropose Di Umano Kay Ellen Adarna "Are They Expecting A Baby?" Just this end of September, John Lloyd Cruz, and Ellen Adarna’s relationship has been all over social media. This all started when these two were spotted in Bantayan Island in Cebu. Their closeness and sweetness are all evident from Instagram posts of Ellen Adarna herself. John Lloyd Cruz and Ellen Adarna had closer encounters when the latter started guesting on the Kapamilya show Home Sweetie Home starred by Toni Gonzaga and John Lloyd Cruz. Maybe the relationship ignited with this closeness. But what if this relationship of theirs has been put to the next level? Recently, the two are on an extended European Tour. John Lloyd filed an indefinite leave in ABS CBN away from the showbiz industry. And it’s clear that these two are having a good time touring from Paris then skiing in the Alps. The social media has been shaken when Jay Sonza, a known broadcast journalist posted on his Facebook account a conversation about a niece of him who shared about the proposal of her boyfriend, and she is happily telling her uncle that he will soon become a grandfather. And she also mentioned that Jay should better visit them, and she mentioned European countries where she visited with her boyfriend. Netizen and followers got all curious if the niece Jay Sonza is pertaining to Ellen Adarna. Because Jay called this niece of him as “Elena”, and also since Ellen Adarna also visited those countries mentioned and she is also with John Lloyd Cruz, so it ties the strings altogether. But of course, we still need to confirm this information from both parties, whether they were really related, or did John Lloyd has already proposed to Ellen Adarna. See link to see the actual Facebook post.